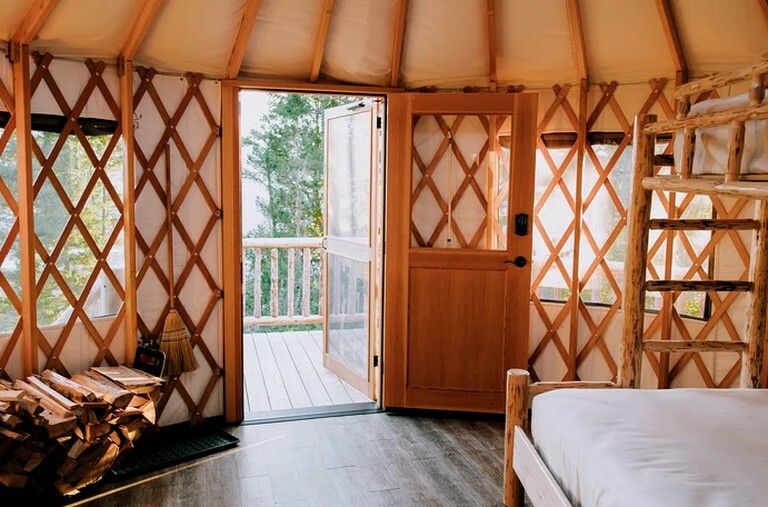 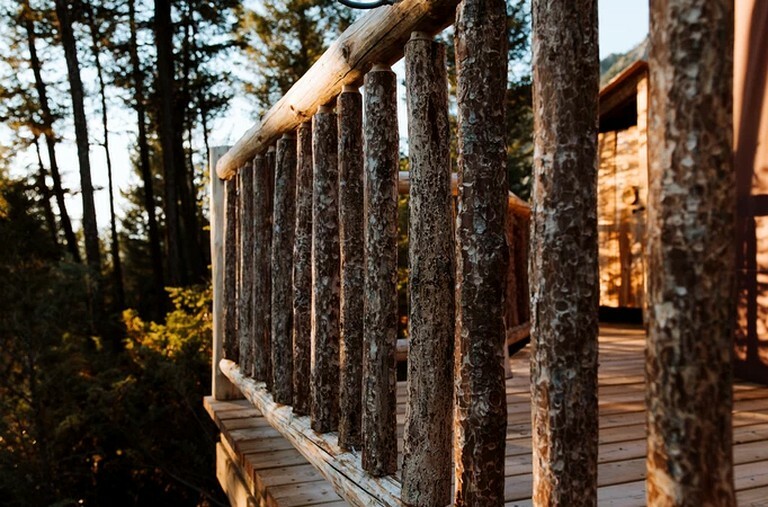 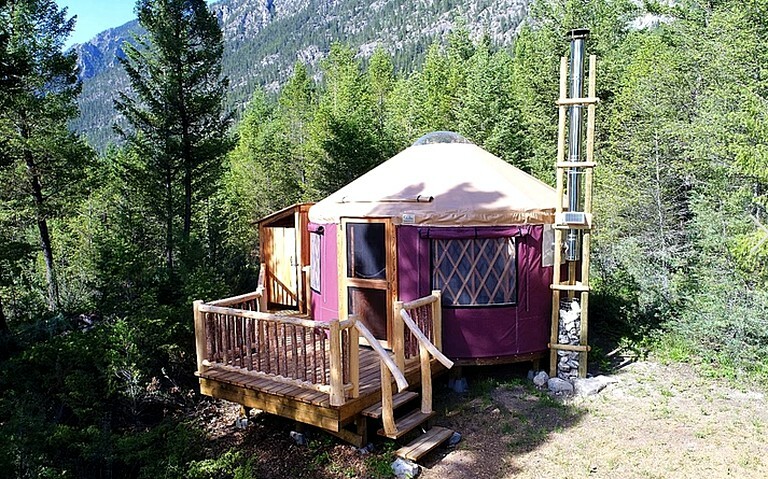 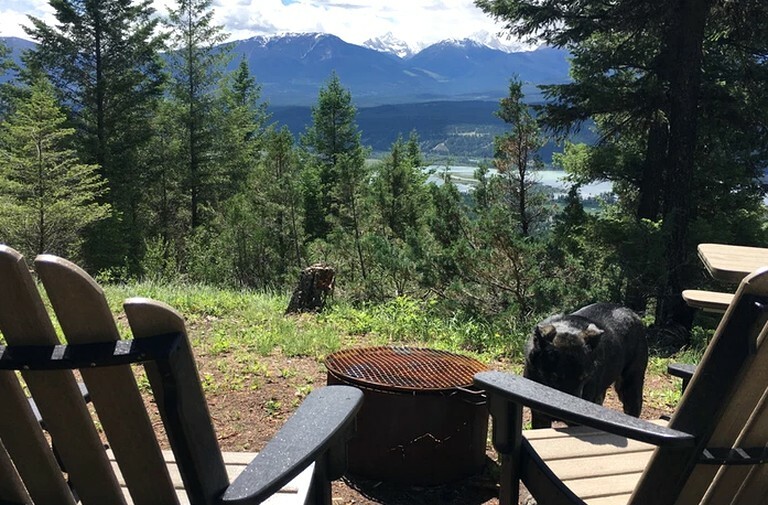 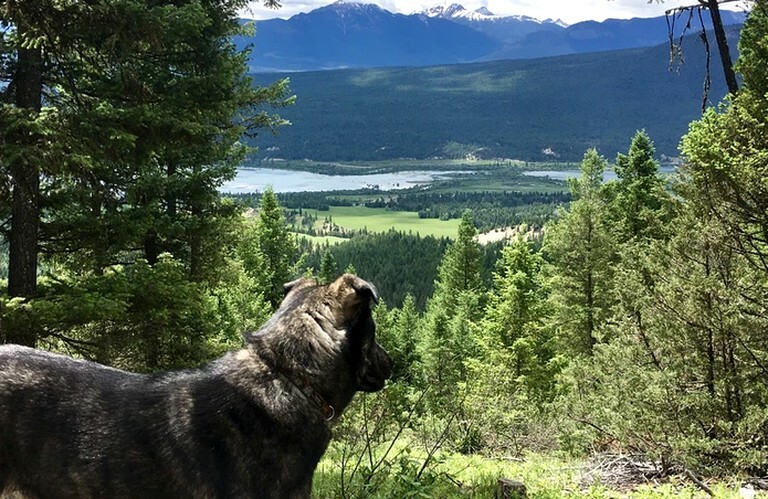 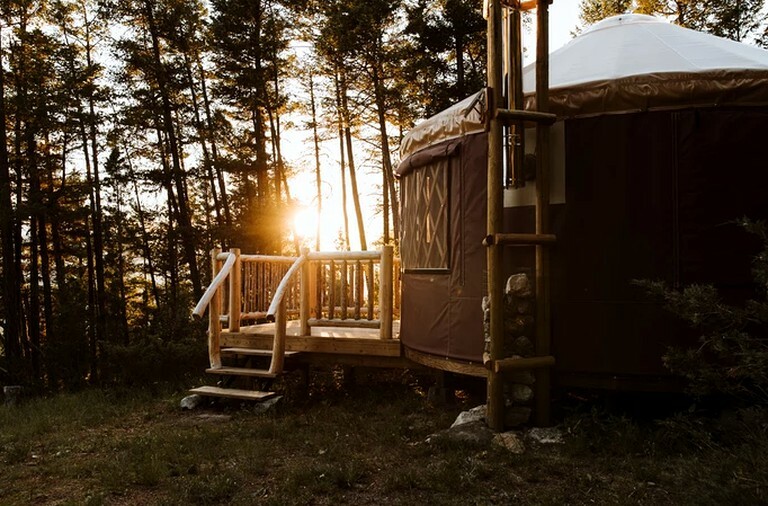 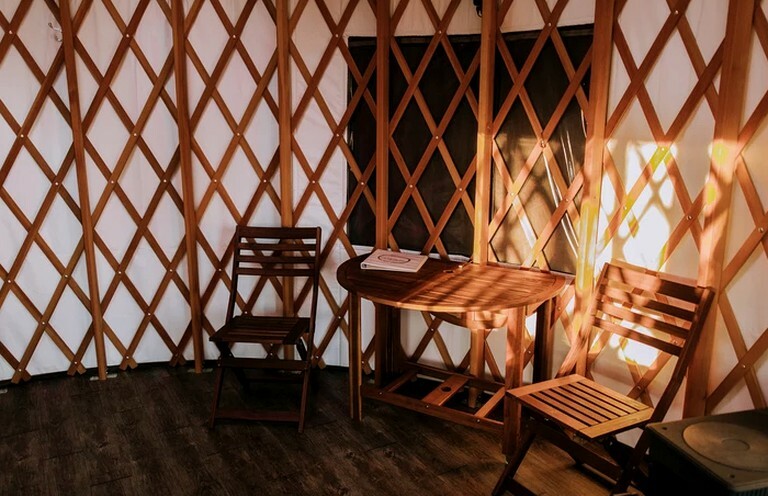 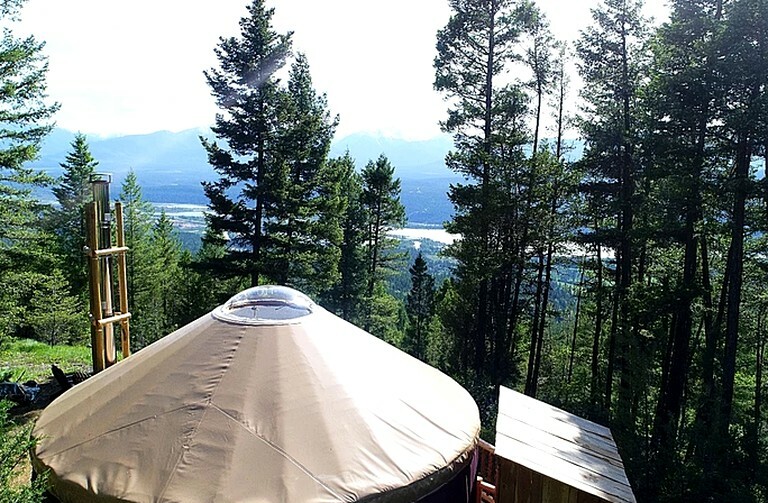 This glamping yurt is located near Kootenay National Park, British Columbia, and can accommodate three guests. 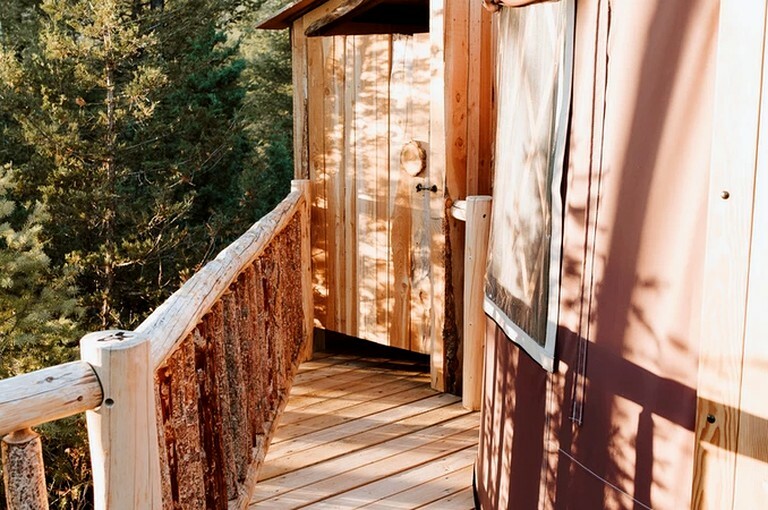 The space is studio-style with a combination single and queen-size bunk bed. 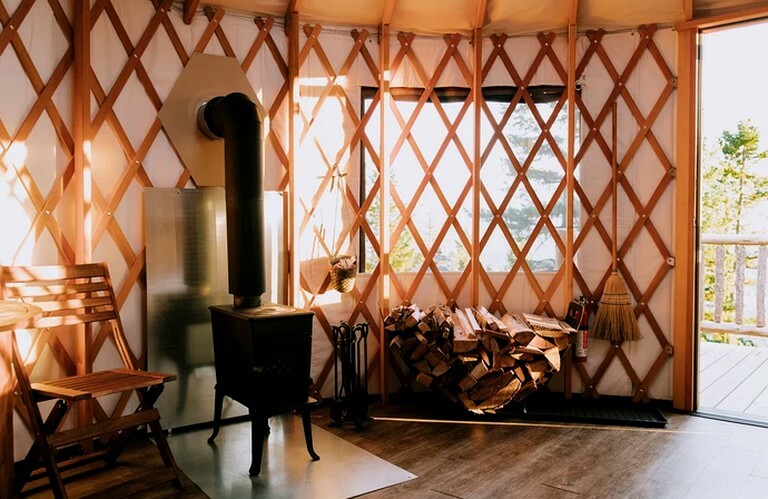 There is a cozy wood-burning fireplace with plenty of chopped wood, a small table, and three chairs. 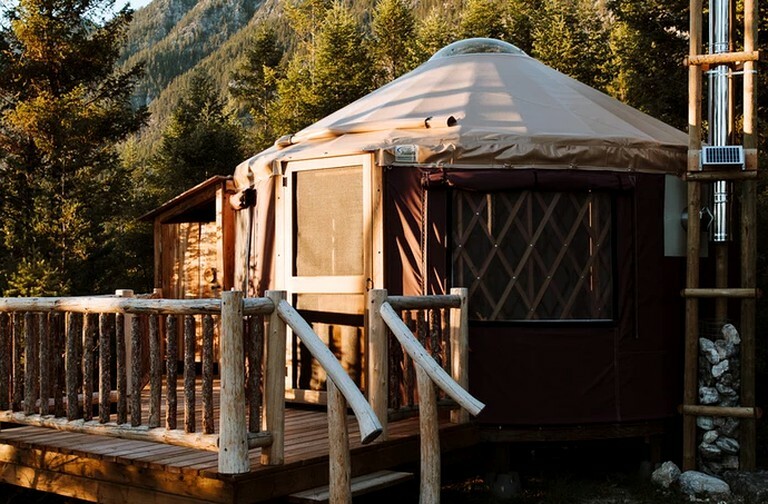 Solar lighting keeps the space lit, and there is a two-burner propane stove. 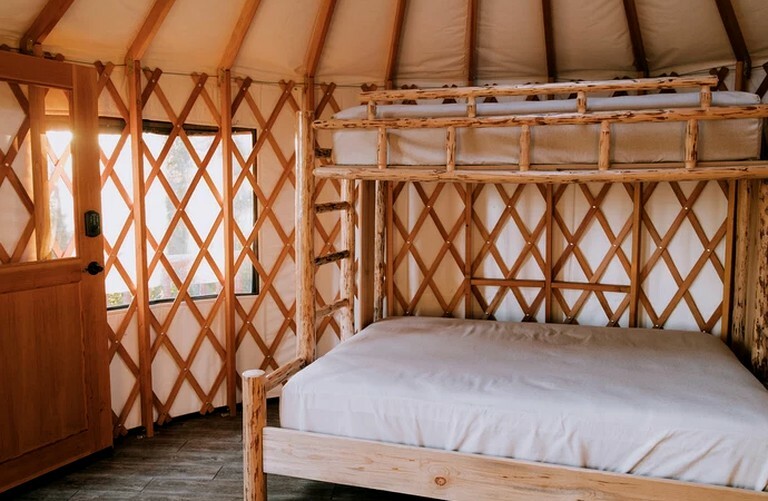 Linens and towels are not provided.